The Pentagon aims to transform a planned Navy combat drone into a flying tanker that would refuel fighter jets serving with a carrier air wing. It could allow them to remain in the air longer and attack targets located deep inside the continent – such as sites in Russia or China. The Unmanned Carrier Launched Airborne Surveillance and Strike (UCLASS) program is set to be retooled. The naval drone initially designed for reconnaissance missions will now be used as a carrier-based aerial refueling tanker for US Navy fighter jets like Northrop Grumman’s E-2D Hawkeye or the F-35C. The US Department of Defense has now focused on the new Carrier Based Aerial Refueling System (CBARS) program. 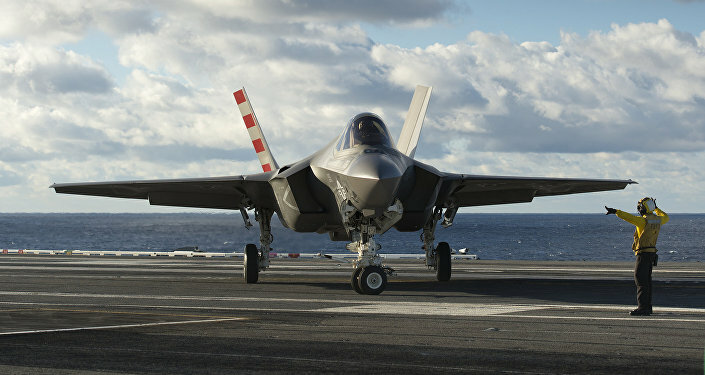 CBARS, aimed at extending the range of the carrier’s air wing, will be developed over the next three years. The shift from the UCLASS to CBARS is not news for some experts. The US Navy’s director of air warfare Rear Admiral Mike Manazir envisioned it in 2013. “They’ll [drones] be able to give away something like 20,000 lbs. of gas and still stay up for seven-and-a-half hours,” Manazir then said, specifying the UCLASS would be a huge drone that would weigh up to 80,000 pound and could be on the fly for up to 14 hours. While in service, such refueling drones could replace some fighter jets like the F/A-18E/F Super Hornets which the Navy occasionally uses as flying refueling tankers. According to the National Interest, the Pentagon could also engage the refueling UAVs with the concept known as Naval Integrated Fire Control–Counter Air (NIFC-CA). NIFC-CA presumes that all the units within the carrier strike group are united in one network through the means of datalinks. That would provide the carrier strike group commander with a clear vision of the battlefield, USNI.org wrote. Under this scenario, the Navy's stealthy F-35C extended with the refueling drone could fly deep into the enemy airspace and use powerful target detection. Then it would share the target location with all of the carrier group’s units (F/A-18E/Fs, EA-18Gs, surface warships and submarines) and provide terminal weapons with guidance. 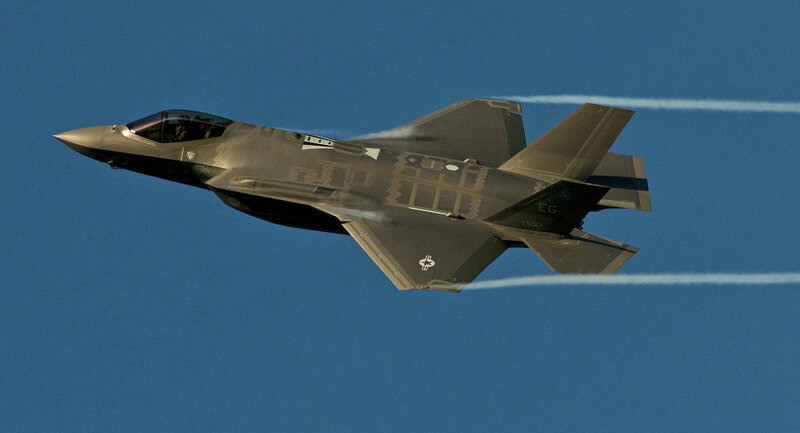 “He [F-35] would go in there using his X-band stealth technology, and go in there and he would get radar contacts and surface contacts and would ID them for us,” Manazir pointed out. Manazir suggested the UCLASS could also be used as a missile “caddy” for Navy fighters like the F-35C or the Northrop Grumman E-2D Hawkeye. The US’ plans confirm the scenario outlined by Manazir. 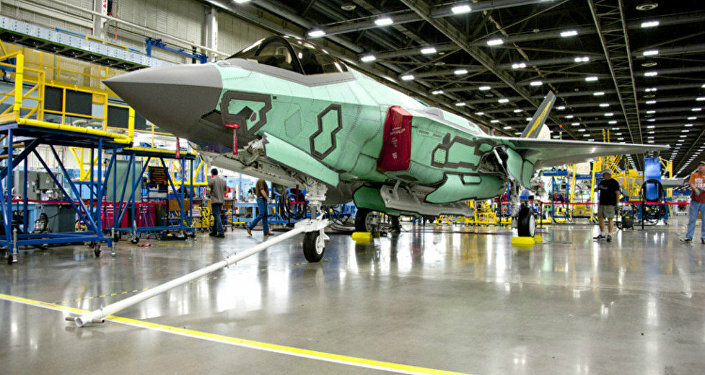 Alongside with the conversion of the UCLASS to a tanker, the Pentagon announced it will buy additional F/A-18 E/F Super Hornets and improve the Lockheed Martin F-35 Lighting II Joint Strike Fighter (JSF).